Financial Statements - should be prepared by an accountant. It should lists net worth including assets, liabilities, salary, bonus, etc. Bedford Realty USA Corp submits offers with financial validation. The most qualified buyers are usually the ones whose offers are accepted. Having a complete financial statement is very important when there is an apartment or property with multiple bids. Asset Valuation - A down payment alone does not qualify a buyer for a coop or a condo in Manhattan. Usually, a coop board or condo association wants guarantees for mandatory maintenance fees. They want assurances against unexpected loss of income. Many coops require liquid assets totaling 1 year's worth of maintenance and mortgage payments after closing. Also, some buildings require liquidity up to three years of combined costs. Ask your Bedford Realty USA Corp Broker to assist you with specific requirements. A credit check is generally performed by a mortgage broker and pertains to your credit history. Resolve disputed claims and have them removed immediately from your credit report. Keep all pertinent documentation which illustrates that the issue is resolved. Also, we recommend buyers choose a mortgage broker because mortgage brokers can save time and money. We work with various brokers throughout the New York Area; if you are interested ask your Bedford Realty USA Corp broker for more information. Pre-qualified, also called pre-approved, is when a perspective buyer tells a lender income level, debt and credit information, so the lender can provide an estimated loan amount, based on these criteria. Being a pre-qualified buyer will reassure a seller that any offers made are bona fide and that a buyer can actually make the purchase. In fact, most offers submitted by Bedford Realty USA Corp are often accompanied by a buyer's pre-qualification letter; this letter notify sellers that financing is an option. Ask your Bedford Realty USA Corp broker to provide you with information about financing, estimated monthly mortgage payments, and any other necessary qualifications. Pre-approval letters make for strong offers because the lender has already pulled a credit report, checked debt/to/income ratio and done an analysis of your finances. Also, it is preferable to be pre-approved so that there will be no surprises when the credit report is received. The real estate market in New York City is a very dynamic market. 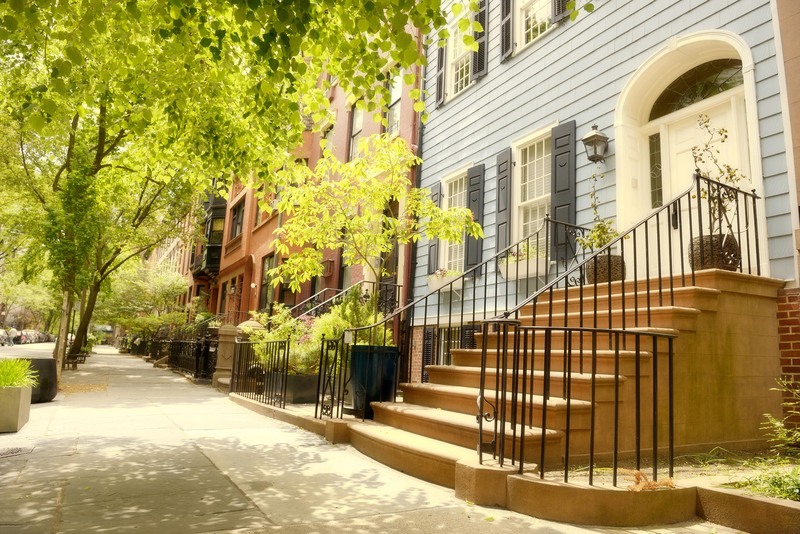 Having a real estate attorney who specializes in the NYC market is very important. First, they know the intricacies of the laws and regulations. Second, they can respond quickly to any problems that arise and can therefore expedite the closing. Ask your Bedford Realty USA Corp Broker to assist you in selecting a qualified real estate attorney. New York City is a city of diverse neighborhoods, all with their own unique appeal. Before beginning your search, decide what is important. For example, proximity to public transportation or proximity to your job. Are your preferences for a quiet residential neighborhood or a bustling hub of activity and nightlife? Try to be open to different areas as sometimes neighborhoods other than your first choice are more affordable and offer many of the same features. Visit our detailed neighborhood guide for information on all our neighborhoods. Also, ask your Bedford Realty USA Corp broker to include any recommended, areas as you may not be aware of them and they may best suit your needs. How do I make the deal happen? After finding the property you want, immediately make a verbal offer. Consult your Bedford Realty USA Corp broker for the best ways to extend an offer to a seller. There are a lot of different reasons, other than money, that influence a seller in choosing the right buyer. If the verbal offer is accepted, have your broker get confirmation of the offer and acceptance in writing. Once the written offer is accepted and signed, your Bedford Realty USA Corp broker prepares a transaction summary. This is sent to the seller's and to the buyer's attorneys for review. Using the signed offer and acceptance, the seller's attorney then prepares a contract of sale. After the buyer’s attorney reviews the contract, negotiates terms and evaluates the property's financial statements, the buyer then signs the contract and presents the down-payment check. Generally, down-payments range from 10% - 20% of the contract of sale. This money is often held in the selling attorney's escrow account to be sent to the seller's attorney. The seller then executes the contract.